On renowned Maroma beach in Mexico’s Riviera Maya, El Dorado Maroma, a Beachfront Resort, by Karisma provides a secluded, enchanting setting for those looking to escape. Amidst the gorgeous Caribbean surroundings, this intimate resort with just 74 suites, is perfect for romantic getaways, destination weddings and sensational honeymoons. Whether you plan for an beautiful outdoor wedding, an intimate wedding in our beachfront chapel, time off with your loved one, or just to relax, El Dorado Maroma can cater to all of your needs. When you’ve had your fill of sunbathing you’ll discover a stimulating array of activities at El Dorado Maroma. Sport fishing, snorkeling, diving, kayaking and sailing are all offered within steps of the resort at Marina Maroma Paradise. And with weekly events, like our authentic fish market where guests select their own fish and have it grilled right on the beach, El Dorado Moroma offers plenty of opportunities for an unforgettable vacation. 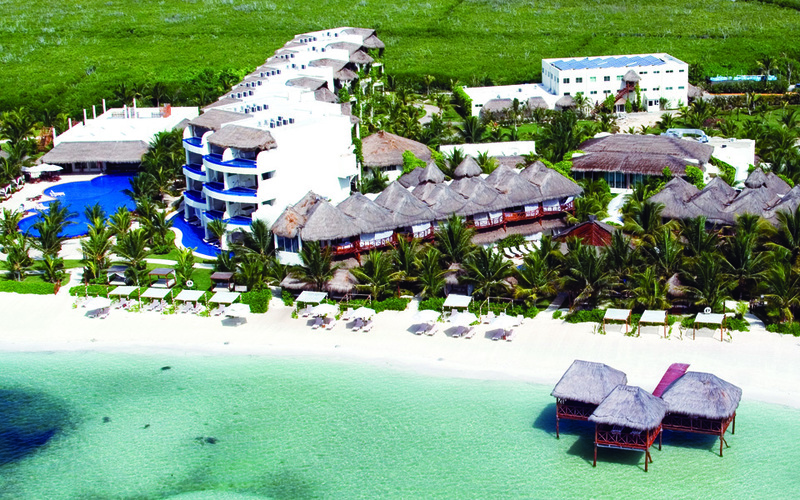 Learn more about El Dorado Maroma.